Chen is under fire for being a 'racist'... Here's what you need to know about it. On April 15th, EXO CBX returned to 'V LIVE' for their special live broadcast 'Mon Tue Wed Thu Chen Baek Xi.' Chen was accused to be a racist for his comment on the show. It was all started when the three played Jenga. Chen, who broke down the Jenga tower lost the game and received punishment. 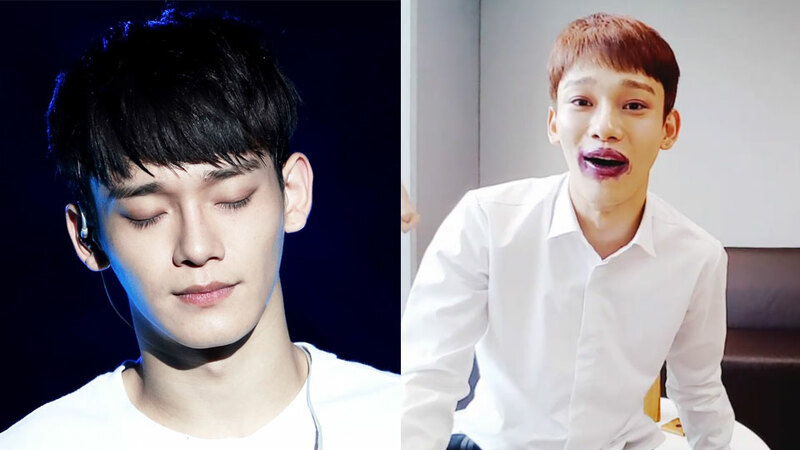 Baekhyun took a lipstick and colored Chen's lips, making it bigger than the actual size. Chen then commented, "I look like Michol." Michol is a character from 'Dooly the Little Dinosaur', which is often criticized as blackface caricature. Chen also said that he looks like Kunta Kinte, a character in the novel 'Roots: The Saga of an American Family,' who is a Gambian. Although the comments basically have no intention to harm anyone, haters and several media have made it big by claiming that Chen himself intentionally mentioned the two characters to show his hate on black people -- in fact, he has never said so. 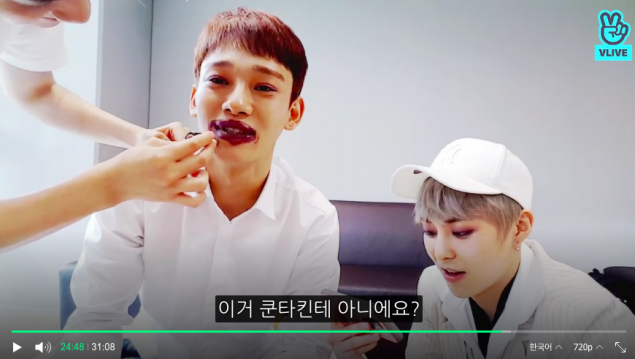 Currently, Netizens' opinion split into two: some says that Chen should make an official statement to clear the issues, while the others say that haters just gonna hate, and Chen has never made a racist comment in the broadcast.